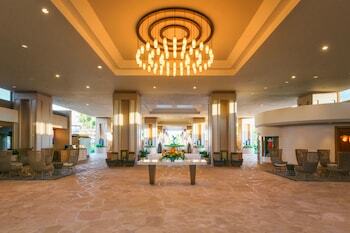 The city of Honolulu provides a gateway to the beautiful Hawaiian Islands. 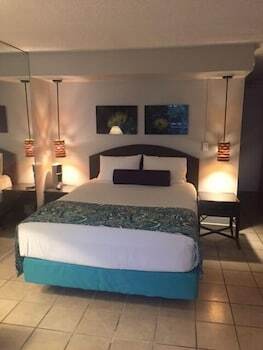 Flights from Honolulu are available through Orbitz.com and depart from the Honolulu International Airport, which is located 3 miles from the city center. The airport services international flights to parts of North America, Australia and Asia as well as short flights to nearby islands. The location, at 300 Rogers Boulevard, serves as the central hub for Hawaiian Airlines. Other airlines at this location include Alaska Air, United and Delta, as well as their travel partners. Hourly parking is available at several garages and lots at the airport. Parking locations closer to the airport provide short-term parking, while long-term options are located a distance from the terminals. Long-term parking prices begin at $12 per day for two days or more, with a minimum fee of $24. The parking system uses an automated check-in ticket setup. Options for transportation to the Honolulu airport include taxi service and a local express shuttle bus. 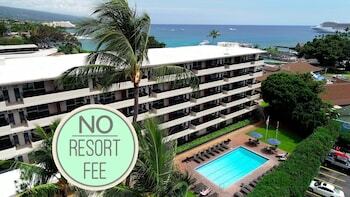 The Airport Waikiki Express provides shuttle service to the Waikiki district for $9 one way or $15 round trip. The city also offers bus service to most parts of Honolulu from the airport for $2.50 per adult and $1.25 per child. Taxi fees vary greatly based on destination. Let Orbitz.com help you find the best transportation options from hotels and nearby attractions prior to your arrival at the airport. Hawaiian-style cuisine is available throughout the airport. Many small restaurants, including Lanai Chicken and Stinger Ray's, dot provide traditional Hawaiian cuisine alongside traditional American fare. Food courts in the Central Lobby offer Chinese food, burgers, pizza and yogurt to travelers preparing for their flights from Hawaii. 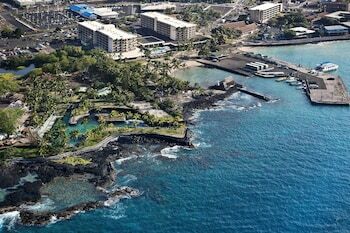 Kona is the westernmost district on the Big Island of Hawaii and the shortened name for the city of Kailua-Kona. The Kona International Airport at Keahole located at 73-200 Kupipi St. services residents and visitors of the city looking for cheap flights to Kona. 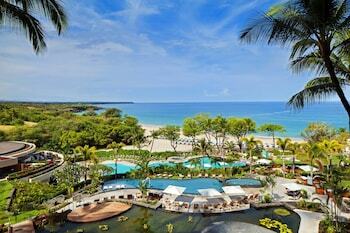 Airlines operating out of Kona include Air Canada, Delta Airlines, American Airlines and US Airways, among others. The airport is about seven miles from Kailua and still maintains an open-air design that takes full advantage of the beautiful Hawaii weather. 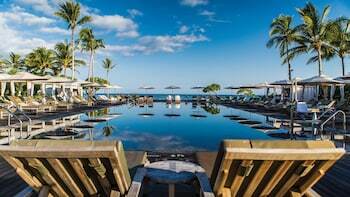 Travel to Kailua-Kona from the Kona International Airport is provided primarily by taxi or rental car, with shuttle services available to resorts in the area and limited bus services through the Hawaii County Mass Transit Agency for $1.00. Round-trip shuttle services are available for about $48, with trips taking approximately 15 minutes, and taxis are about $25 one way to the downtown area. 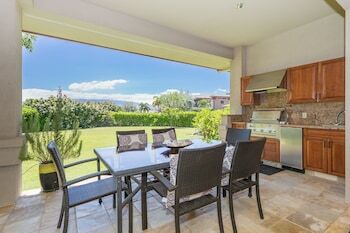 The weather in Kona is tropical with warm temperatures lasting throughout the year. The average low in the coldest month of January only reaches 66 degrees Fahrenheit, with average highs in the warmest month of August only reaching 88 degrees. Rainfall is light and brief, so dress can be as lightweight as desired while in the region. 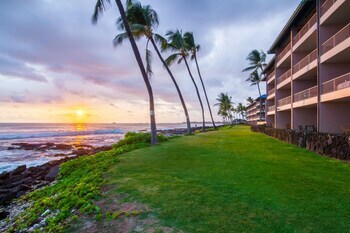 Kona is a tourist's paradise with beautiful beaches to relax in as you enjoy warm ocean breezes and beautiful sunsets. For those who want a more challenging time in Kona though, there's always the Ironman World Championship Triathlon in October. To race in the work championship, you'll first have to qualify through one of the many qualification races held around the world. Watching the race is free though, and it is often worth the price of one of the cheap flights to Kona available through Orbitz.com. Daniel K. Inouye Intl. - Kona Intl. 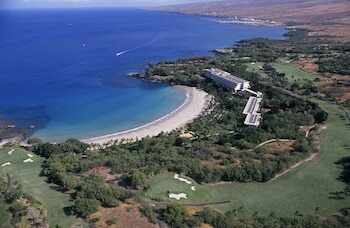 Explore Kona Coast with Orbitz's Travel Guides to find the best flights, cars, vacation packages and more!